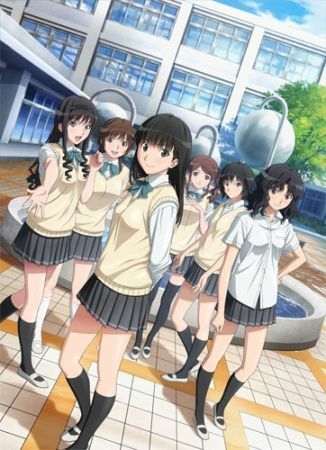 In the aftermath of Amagami SS, high school student Junichi Tachibana continues his relationships with the girls at his school. Amagami SS+ Plus offers a glimpse into what happened after the resolution of each girl's individual story. New events begin to take place between each of the girls and Junichi. Tsukasa Ayatsuji, the class representative, runs for student council president; Rihoko Sakurai, who has taken over the Tea Club with Junichi, still wants to confess her feelings to him; Ai Nanasaki questions the future of her relationship with Junichi when he leaves for college; Kaoru Tanamachi wonders if her relationship with Junichi will ever go any further; Sae Nakata and Junichi deal with classmates who still can't believe that someone so cute is his girlfriend; and Haruka Morishima wants to take their relationship to the next level and get married.